With your help, the following programme of works is planned for 2013. The emphasis of the plan is to identify initiatives under each of the judging categories and to have this work completed before mid May, with judging expected in late May or early June. Painting of Bridge railings and ESB poles. 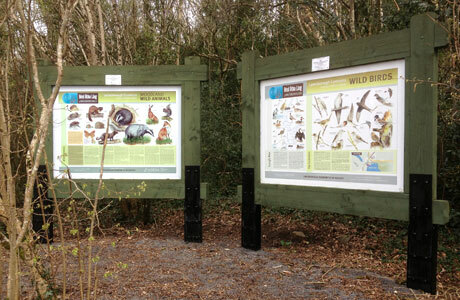 This has been completed with the kind assistance of Lanesboro Coop and Ballyleague Tidy Towns committee. Removal of weeds and powerwashing of footpaths. Planting of planter boxes/litter bins and hanging baskets (planterboxes have been planted with daffodils for early spring colour). Painting of road signs, gates, railings and walls. Development of a Shop Front and Signage Guidance policy. Landscaping (Ballymahon road will be tree lined to Tullyvrane crossroads). 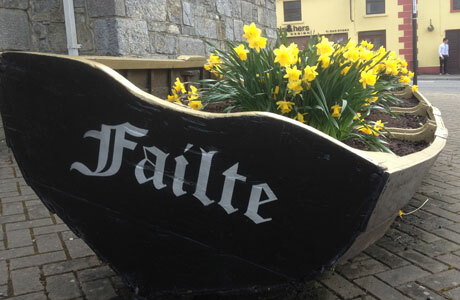 Stone planter boxes have been built under the town signs on each road, will be planted with flowering plants in spring. 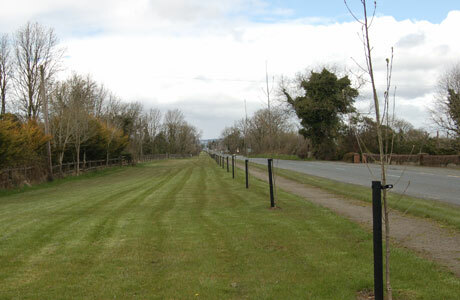 Cutting of ditches/leveling of grass verges/ plastering of walls/painting of gates and fences. Spray painting of all ESB poles with black paint (similar finish to ESB poles on Main Street). 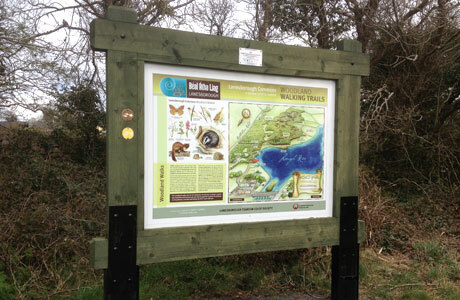 Heritage Trail (interpretative/information boards at each heritage location). This project is being jointly completed by Shannonside Heritage. Opening of the Pound Bog Walk in Spring. Involvement of local schools/community groups in the works programme. Launch of a Tidy Towns web site. Waste minimization project with local businesses/households. Installation of bird and bat boxes and bird feeding tables. Installation of two(2) rain water harvesting points at St Mary’s Hall and the Fire Station. Volunteering to become involved in our organized “Clean up” evenings. Ask a few neighbours to join you in doing a job in your estate or on your road. Supporting our weekly lottery draw, 2e per ticket. This is the committee’s primary source of income and without the lottery, this programme of works would not be possible. Making suggestions that you think would help our performance during 2013. Please drop a note into the office or send an email on any initiative that you fell would help Lanesborough to improve. Green Home, website www.greenhome.ie, was developed as a framework to support and advise householders on ways to save money on their household bills while protecting the environment. The programme focuses on the themes of waste, energy, water and transport and extends the Green-Schools message beyond the school gates into the wider community. The Green Home programme can be undertaken by an individual householder or as part of a group. Getting involved in the Green Home programme couldn’t be easier. Using the Green Home Themes tab in the Green Homes website menu, you can access the most current and up to date tips, advice and action plans on ways to prevent and reduce waste and energy use in the home, conserve water and find out about sustainable travel options. You can help our community to become greener by registering to become a Green Home member on the website www.greenhome.ie. You can avail of the on-line Green Home survey, mentoring from the Green Home team and you will also be entered into the different competition that is run throughout the year. The Green Home Survey is a tool that enables you to monitor the progress your household has made while participating in the programme. All Green Home members are asked to complete the online survey when they become a member. A graph is generated and this provides the householder with a baseline figure of their household’s performance on the four themes. Participants are then encouraged to avail of the online resources and to revisit the survey on completion of these activities. This provides the participant with a pre and post Green Home programme status for comparison purposes as a means to assess any behavioural change.